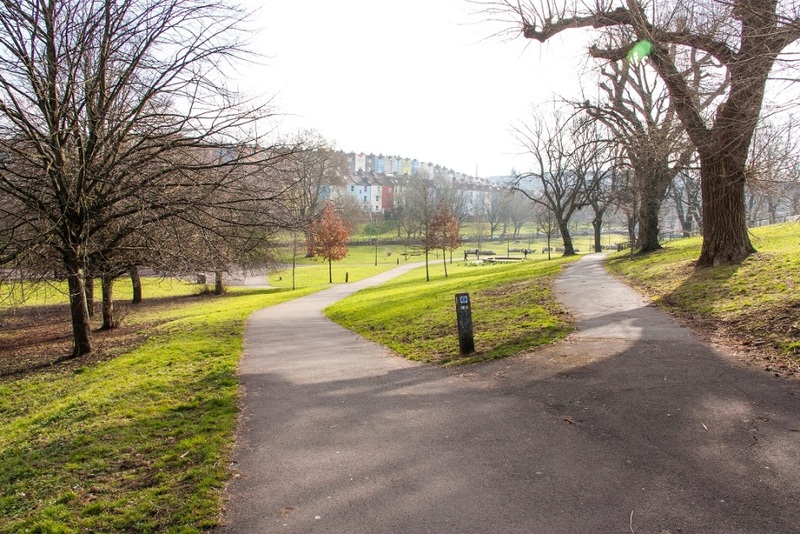 Our proposals for Victoria Park forms a vital part of the Filwood Quietway, linking South Bristol to the city centre, with a safe and direct route for walking and cycling. Find out more about the Filwood Quiteway route. 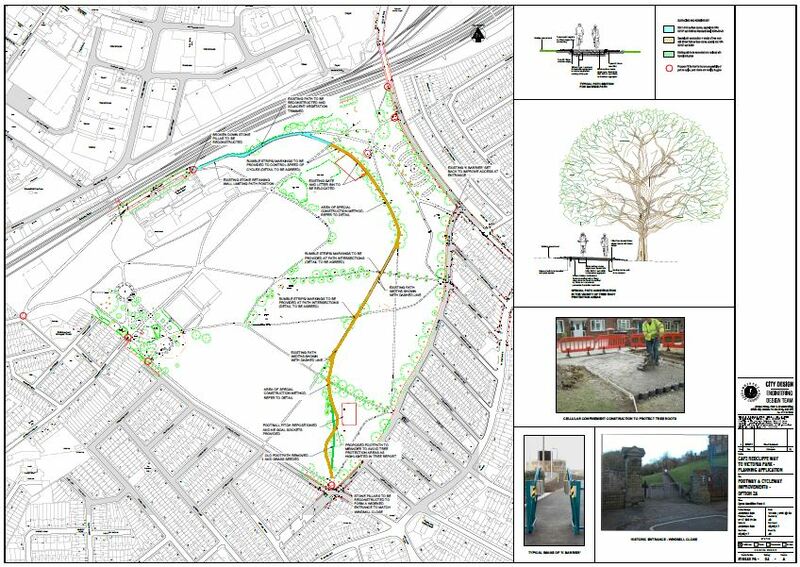 The Victoria Park cycle route was granted planning consent on 8 November 2017. Works to construct the scheme are due to start on 5 March 2018 and are programmed to last approximately 26 weeks. During the works, pedestrian and cycle access will be restricted, with some existing paths closed at times for health and safety reasons. Closures and diversion routes will be signed. The Nutgrove Avenue/Hill Avenue access is to be closed for the duration of the works and used by the contractor as the main site access. Access at the top of Windmill Close is to be kept open at all times wherever possible, but closure may be required for a day or two. Other access points will be closed when necessary with advance notice of any closure signed. Click on the link below for the Pedestrian Management Plan. 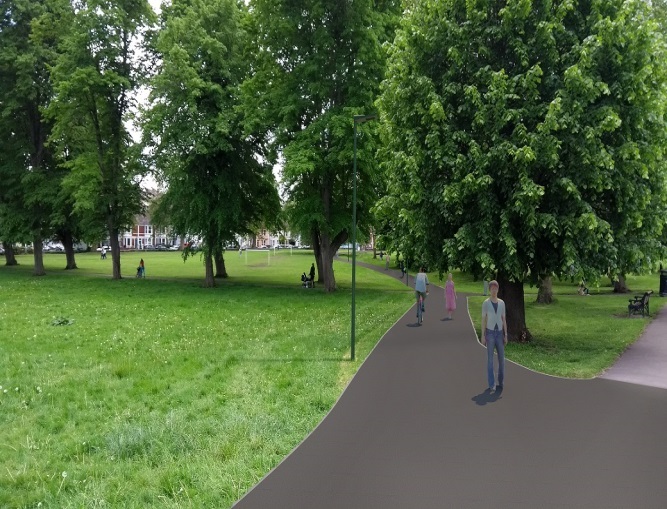 The Council previously proposed some improvements for Victoria Park, which focused on a new walking and cycling route through the park. This was subject to a planning application, which was subsequently withdrawn in January 2017. We have listened to the concerns raised during the previous planning process, met with key local stakeholders and re-designed to address comments. 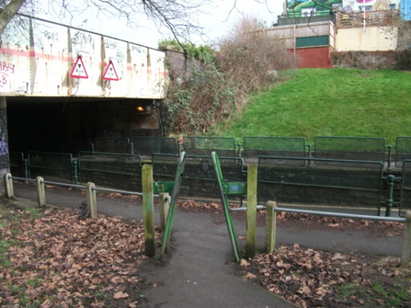 This scheme is being progressed by the Council, as part of its Cycle Ambition Fund (CAF) project, which is mainly funded by a successful bid to the Department of Transport. The CAF project is a range of schemes and initiatives that seek to encourage people of all ages and ability to cycle more to reduce traffic congestion, improve the health of citizens, and reduce carbon emissions for a cleaner environment for all. 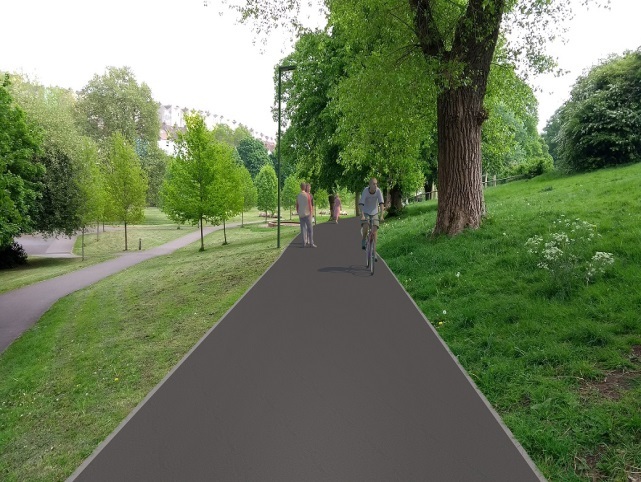 Victoria Park is part of the Filwood Quietway route we are progressing, which has a number of sections – Whitehouse Street, Victoria Park, St John’s Lane/Wedmore Vale and Northern Slopes. 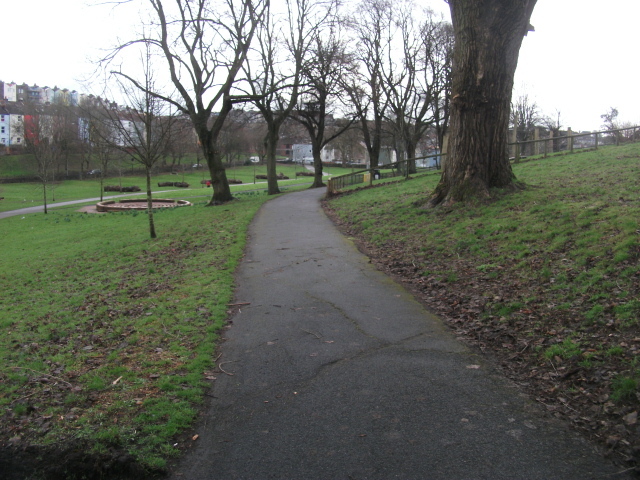 The previous route went from the access at the top of Windmill Close, in the north part of the Park, running eastwards before heading south close to the east edge of the Park, by Hill Avenue, to the Nutgrove Avenue/Hill Avenue access. There were objections about the route running close to Hill Avenue and also about the new sections of path. Following discussions, the route has been changed and is now more central. This is a shorter route for those pedestrians and cyclists wanting to travel along the Filwood Quietway. 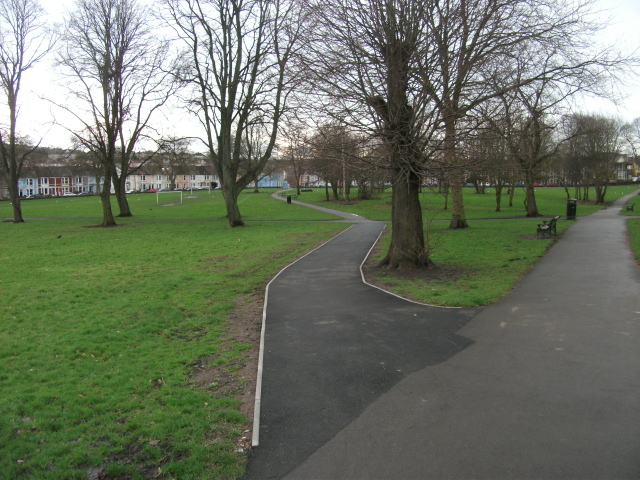 The majority of the route uses existing paths, which would be widened. At the south end, a short section of new path is proposed to reduce impact on existing tree roots and the old path would be removed. The previous path, being approximately 850m long, was to be between 4.3 – 4.7m wide, depending on location. It would have been segregated, with cyclists using one side and pedestrians using the other. However, there were lots of objections, mainly about the path being too wide but also with segregation. Many people felt a wide, segregated path would encourage cyclists to travel at speed. The new path is now proposed to be 3.0m wide and approximately 760m long. We found that parts of the existing route are wider than we all thought, because of overgrown grass on its edges. In some places, the existing path is almost 3.0m wide if the grass was cut back and tarmac levels reinstated. The original route required the removal of three trees and relocating a small one. Six new trees would have been planted to compensate for the loss of these trees. The previous route also required the installation of a short section of ‘no dig’ cellular confinement system for path construction adjacent to a mature tree, to protect its roots. The original route also included the removal of a strip of the self-seeded bushes and woodland scrub along the northern boundary for the construction of the widened path. The new route does not require the removal or relocation of any trees. However, the route does run close to more trees and, therefore, longer sections of the ‘no dig’ cellular confinement system path construction are required. The new route will have minimal impact on other plantings. Planting along the northern boundary will no longer be affected, other than for minor pruning of any overhanging branches. 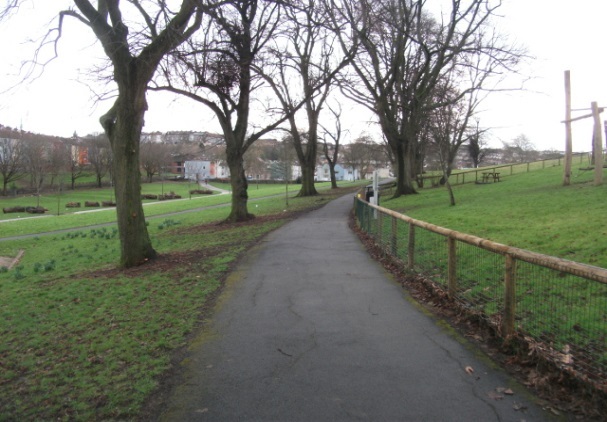 Ground vegetation and grass that has overgrown across the edges of affected paths will be removed. Whilst lighting the new path is not mandatory, it is desirable to light it so that users feel safer and more secure during hours of darkness. Lighting proved to be a contentious issue during the previous consultation, with responses split on whether it should be provided or not. 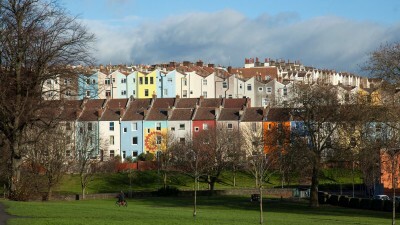 It was also a common comment in responses to the planning application. We will be using intelligent LED lighting heads and operating hours for the lighting will be 05:30 – 19:00 at full brightness; 19:00 – 22:00 at 30% brightness; and 22:00 – 05:30 lights switched off. At this time, we are only providing 6 new columns and lanterns on the north section of the route. We also considered using shorter columns but we would have needed more of them, which would have resulted in closer spacing and increased power consumption. Whilst there is some existing lighting already within the park, many of the existing paths are not lit. It is appreciated, therefore, that there are concerns with regard to the impact on wildlife and also the Dark Sky status of the park. It is proposed, therefore, to use warm LED lighting that will be directed at the path only. The proposed heads we have chosen will obscure the light source from above and behind in order to keep the light spill to a minimum. Additionally, the column height will be approximately 4.7m (similar to existing lighting columns within the park) and spaced at approximately 30.0m to reduce the number needed. With the dimmed lighting activated and ability to switch the lights off during the middle of the night, this will reduce the impact on nocturnal wildlife, especially bats, using the park and also the Dark Sky status. Bats hibernate during the winter months when the lights would be most in use. A survey along the proposed route found no evidence of any bat roosts in any adjacent tree. In addition, lighting will be downwards rather than onto the trees. The minor widening now proposed and the ‘no dig’ construction should have minimal impact on existing wildlife. 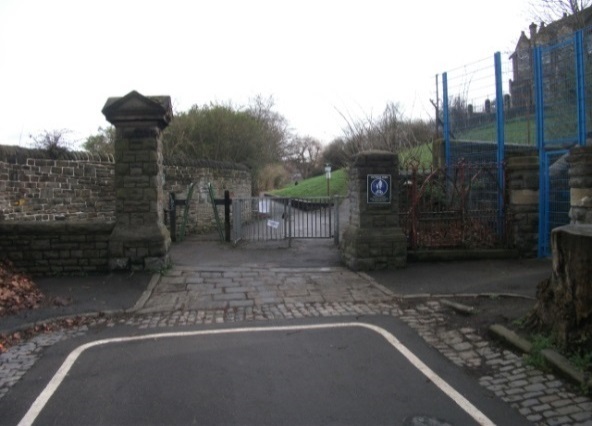 As for the previous scheme, it is proposed to reconstruct the gate piers at the Nutgrove Avenue/Hill Avenue entrance and also reconstruct the missing gate pier at the top Windmill Close entrance. The restoration work to the two of the existing entrances will match the original designs that still exist in other locations, for example at Somerset Terrace. 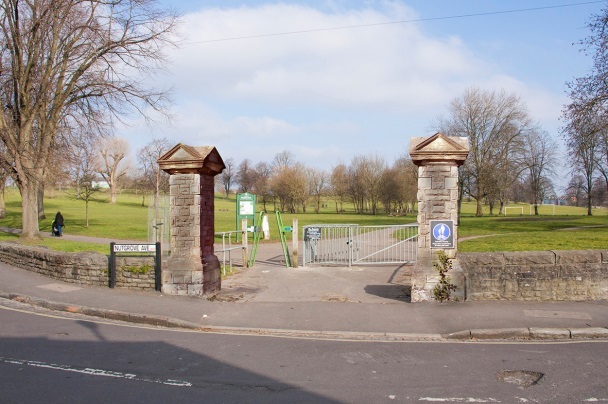 For the Nutgrove Avenue/Hill Avenue entrance, we have also been requested to widen the entrance slightly, by approximately 0.5m, in order to allow larger vehicles to access the park more safely. This will be helpful for certain park events. Victoria Park has 14 access points around its boundary. 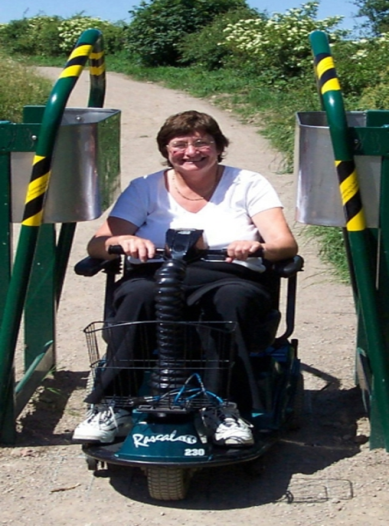 The majority of these can be used by users of standard size wheelchairs and bicycles. 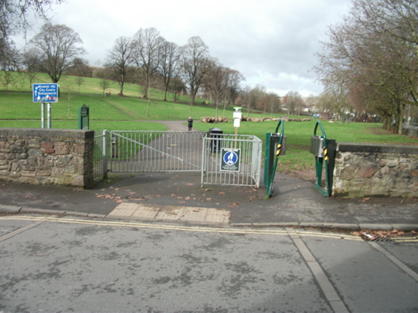 In order to improve access for all users, including larger wheelchairs, motorised buggies and non-standard bicycles, the previous scheme had proposed to replace existing barriers at three locations with bollards. 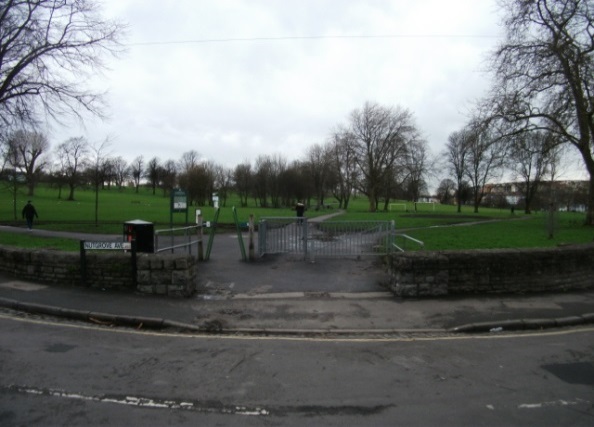 There are instances of anti-social behaviour, in terms of motorbikes/mopeds gaining access the park. This would have initially been on a trial basis, for up to 12 months, as agreed with the Police, to assess if there was any increase in anti-social behaviour.